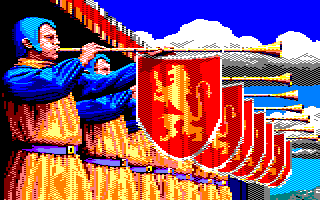 First with scanline rasters. Second with more simple GA interrupt rasters. If you like the idea, you are welcome to improve them. If you like the idea, you are welcome to improve it. But something strange... Some colours was wrong. So, I have just uploaded it again with few changes! It look that game map is formated with 32x16 chars screens. The C64 and CPC version have duplicated tiles on edges... So, I have removed them to match with the HUD width. Here a screen with GA interrupts only and minors changes. Wow! TotO, your 'cursed prototype' looks insanely amazing! Those Cursed Castilla (good game that. 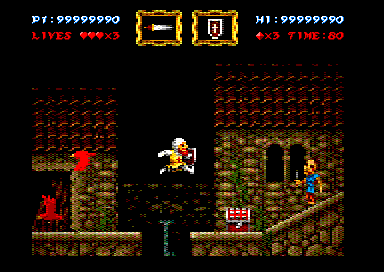 I have it on PS4 and enjoy it way more than the Ghouls n Ghosts type of stuff that inspired it) pics have 32 colours. Mainly spotted it cos there's several shades of grey when the CPC only has the one. And mixing resolutions on the status panel. What were these shots for? 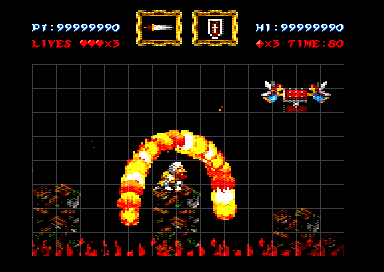 A rough idea of how the game might look on CPC? Though scrolling would be an issue especially at that screen size. The Defender of the Crown pics look nicely refined and I like how that character screen is very cleverly mixing resolutions seamlessly. 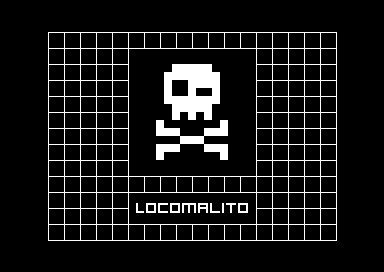 We (Easter Egg) had been licensed in 2013 to port Maldita Castilla on CPC and have worked on a prototype version for the CTC-AY CPC cartridge system, but cancelled (finaly born the X-MEM + PlayCity). The display engine with many compiled sprites and some other things was done (using embedded cartridge ROM/RAM and save features for all CPC). Those mock-ups was the goal to reach, has we done with R-Type in example (but should be not final palette, you are right). Mixing HUD is by changing display mode on the same line and about scrolling and sprites, I can't explain it. Yeah I think i have seen that mixing resolutions on same line in a recent demo come to think of it. 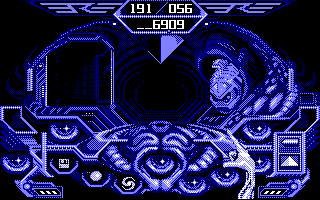 Not sort of thing I expect in a game (much like some other demo trickery) but cool. this graphics of the main character are in CPC or are they from a CPC +? It is a first step conversion with 2bpp. 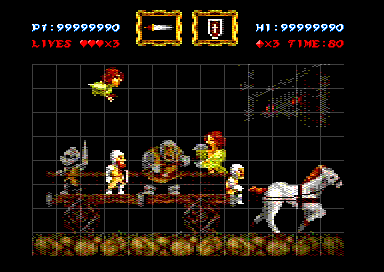 The goal was to be used for CPC or PLUS after a pixel/colour rework. Thats amazing! Any chance to see this project finished? I doubt. It was >5 years ago. Except a "miracle". Page created in 0.248 seconds with 91 queries.